Sometimes when you try to sign in the ezTalks app on your PC, it shows "fail to connect to the server" or "network error". You can do some simple troubleshooting to figure it out. Below are the steps of how to do troubleshooting when you fail to log in the app. Step 1 Check if you can go to the Internet successfully on the computer. Open a web browser and try if you can open https://www.eztalks.com. If yes, please move to the next step. If no, please check the network issue on the computer. 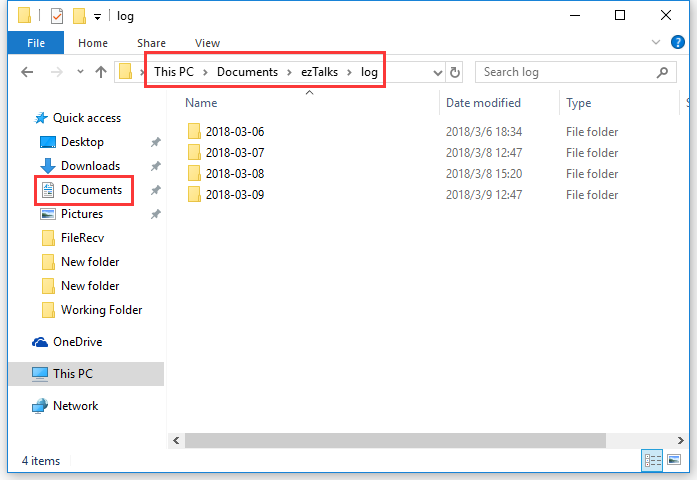 Step 2 Check if your computer is connected to the ezTalks login server. If the ping results are successful without packets lost, please move to the next step. If the resut are request time out, please send a screenshot of the ping results to ezTalks live support for help. Step 3 Check if your computer is connected to the ezTalks message server. f the ping results are successful without packets lost, please move to the next step. If the resut are request time out, please send a screenshot of the ping results to ezTalks live support for help. Step 4 Check if the ezTalks app has the authority to access the specific ports. Then copy the command: telnet api.eztalks.com 80 and paste it in the command window. If the telnet command is not enabled yet, please click here to enable it. If you can see a black window, that means the telnet is successful and please move to the next step. If not successful, please check the firewall settings on your computer to allow ezTalks to connect to the Internet. Step 5 Send the system log of the app to ezTalks support team. How to do troubleshooting if starting a meeting fails on a Windows computer?